You would be hard-pressed to find two pitchers more dissimilar than Robin Roberts and R.A. Dickey. Though Dickey is the only one of the pair to win a Cy Young Award, he will never approach the Hall of Fame status of Roberts, who was elected in 1976. Roberts pitched his final major league game at age 39 and finished with 286 victories. Dickey, the same age today, has won 75 games in the majors. Roberts had a "natural" motion that allowed him to pitch over 300 innings each season from 1950-55, a delivery known familiarly as the "drop and drive" and later used by Tom Seaver and Nolan Ryan. Dickey, of course, struggled for many years as a conventional pitcher before adopting the freaky knuckleball that has brought him success in his late thirties. Thanks to pinpoint control, Roberts' fastball was so effective that he seldom used his "second" pitch, a looping curve he wasn't fond of himself. Dickey also relies on his main pitch most of the time, occasionally mixing in a fastball on a corner in the mid-80 mph range. Recently I read the memoirs of these two remarkable pitchers--and men--and both books are enlightening though in very different ways. 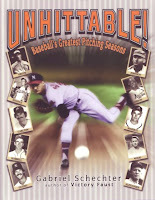 The Roberts book, fittingly titled Throwing Hard Easy to reflect his easy pitching motion, was originally published in 2002, written with help from Paul Rogers (also Roberts' collaborator on a fine book about the 1950 Philadelphia Phillies "Whiz Kids"), and was recently re-issued by the University of Nebraska Press with a new foreword by Roberts' son James. Dickey's book, titled Wherever I Wind Up and written with help from Wayne Coffey, was first published just before the 2012 season by Plume Books, but I read the paperback edition with an epilogue written after he followed up the book with his Cy Young Award season. Dickey's book received a ton of attention mainly because of his revelation of sexual abuse during his childhood, while Roberts' book seems to have slipped under the radar. Both are well worth reading. The Dickey tale is much more than a lurid account of his traumatic childhood. It is a powerful self-examination in which the difficult process of discovering his true calling as a knuckleball pitcher parallels his struggle to define and accept himself as a flawed human being. Gut-wrenching at times and steadily compelling, his climb to recent success is credited to his wife's patience, his religious faith, his therapist's wisdom, his own stubborn perseverance, and pitching mechanics honed by other members of the knuckleball fraternity (Tim Wakefield, Charlie Hough, and Phil Niekro). 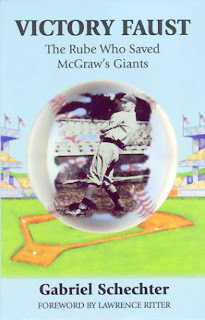 This may be the most intimate baseball memoir ever penned. If you can handle it, don't miss it. Robin Roberts enjoyed a fairly smooth path to athletic success, yet he also gives plenty of credit in his book. His primary booster was Cy Perkins, a former catcher for Connie Mack who coached Roberts on the Phillies from 1948-54 and continued to provide moral support after that whenever Roberts' confidence flagged. However, Roberts confesses that he had more than one manager with whom he hardly ever spoke, and he was also reticent about passing on advice to younger players. In the twilight of his career, pitching for the Orioles, he roomed with 19-year-old Jim Palmer. One night, Palmer said to him, "Old man, why don't you tell me about pitching." Roberts' reply was "Throw the hell out of the ball and go to sleep." Don't get the idea that Roberts was aloof or incapable of helping younger players. After his playing days, he spent many years as the coach at the University of South Florida. Four of his players made it to the majors: pitchers Tony Fossas and Chris Welsh, and infielders Tim Hulett, and Scott Hemond. But while he was a player, Roberts kept his wisdom to himself because he didn't want to override or contradict what the coaches (who were being paid for the responsibility) wanted the other players to do. In addition, Roberts was absolutely single-minded about pitching. He was paid to pitch and didn't think about much else. When the manager handed him the ball, he pitched, whether it meant going into extra innings--he won a dozen games with 10+ innings pitched, including a 17-inning victory in 1952, when he went 28-7 record and would have breezed to the Cy Young Award if it had existed--or pitching in relief between starting assignments--21 relief appearances from 1950-55 when he averaged 39 starts per season. On the mound, Roberts was the epitome of concentration. Here is his description of how focused he was on the mound: "I just stood out there in total isolation, focused on throwing the ball as well as I could. Nothing bothered me, and I was oblivious to even the batter. When I was throwing well, I would see the bat only when he swung, my concentration was so centered on the catcher. As far as I was concerned, the ball was going to the catcher, not the batter." The main strengths of Roberts' book are his marvelous stories and his frank opinions. He claims to be blessed with total recall about every one of his athletic exploits, and I have no reason to dispute him. 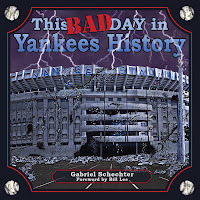 Most baseball memoirs are rife with factual errors--particularly in game accounts--because after playing in hundreds of games and witnessing thousands more, players emerge with inevitably flawed memories, and their collaborators choose to leave stories alone rather than tell famous people "half the stories you told me never happened, you schmuck!" I checked more than a few of Roberts' game accounts before giving up, having found only one place where he said someone walked when he actually reached base on an error. The stories are great, especially those about Phillies teammates like Richie Ashburn, Del Ennis, Andy Seminick, and Curt Simmons. Sometimes, however, I wish he had said more. For instance, he tells about starting a fight with Frank Robinson of the Reds by calling him "a black so and so." He got a black eye for his trouble and admits that it wasn't one of his "proudest moments," but considering that decades later, he and Robinson wound up serving for many years together on the Board of Directors of the Hall of Fame, I would like to know how that 1950s fracas affected their association. Still, that's the part-empty part of the glass; most of it is full of entertaining stories sprinkled throughout the "how I did it" tale. Roberts saves his strongest opinions for Marvin Miller's tenure as head of the Players' Association. As a prime mover behind the creation of the position and Miller's greatest supporter during the hiring process, he notes wryly that every time there was a problem, people told him what "your guy" Miller was up to, but when things went well nobody thanked him. His main problem with Miller stemmed from Miller's promise in 1966 that he would "never" lead the players in a strike. Of course, Roberts admits that his own priority was straightening out the players' pension plan and he never thought about fighting the reserve clause while he was still playing. He doesn't mention that Miller was also over-optimistic in 1966 and quickly discovered, after assuming the job, the necessity of undoing the reserve clause which turned players into slaves. When the 1972 strike began, Miller told Roberts "the players forced me to do it," which Roberts regarded as "ridiculous." He felt betrayed. Though Roberts admits being naive enough as a player to believe that commissioners were truly impartial figures acting "in the best interests" of baseball, he eventually came to see that the owners and commissioners had created an "adversarial" system. However, he remained critical of Miller for apparently relishing the adversarial aspects of his job. He believed Miller became more interested in fighting the owners and Bowie Kuhn than in considering the impact of those disputes on the game and its fans. Still, Miller was regarded as his "boy," and that connection cost him a job with the anti-union Phillies after his playing days were done. I give credit to Roberts for being sincere in his insistence on how important baseball is to the fans (though he also concedes that he didn't pay enough attention to them when he was playing). During the disastrous 1994-95 strike, he ran up a phone bill in excess of $500 one month while calling every owner, player rep, and involved party to implore them to accept binding arbitration. "When they refused," he writes, "I called [again] to tell them how arrogant and stupid they all were. I still cannot believe how the owners and the Players' Association hurt the game of baseball in 1994. But fortunately the game is so much a part of the fabric of American life that it is very resilient." One more thing about Robin Roberts needs to be said. As his son notes in the Foreword, Roberts "was as fine a person as has ever walked on the earth. . . .If you are fortunate enough to have met [him], you know of what I speak." I did have the good fortune to meet him once and speak with him for a few minutes, while working at the Hall of Fame. We talked mainly about pitching, and he was the rare "old-time" pitcher who admitted that it would have been fine with him to leave a few more games after the eighth inning and let a "closer" finish up for him (he completed exactly half of his career starts, including 92 of 116 from 1952-54, when he averaged 338 innings per season and totaled 74 wins). I came away with the strong impression that Roberts was one of the nicest athletes I had ever met. That view was shared by most of the staff at the Hall of Fame, and they're in an ideal position to separate the good guys from the bad guys. A couple of years later, the Hall threw him an 80th birthday party, and he gave a most gracious speech, an uplifting talk despite his obvious sadness at the recent death of his beloved Mary, to whom he was married for more than half a century. Those two contacts made me wish I could have spent more time getting to know Roberts better. That wish was granted this past week when I read his book.